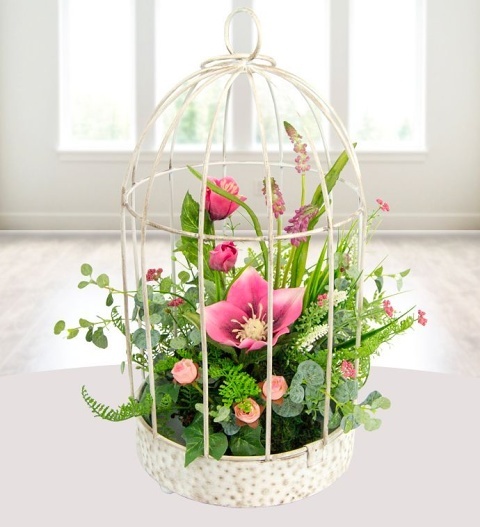 Our Silk Flower Cage is an incredibly stylish handmade arrangement made in the shabby chic style. Our new silk flower range is second to none made by our talented artists, made with incredible detail. Each one gives that instant wow factor: a memorable gift that is perfect for all occasions and is available for UK next day delivery. No need to water!